Annie's Crafty Attic: If you go Down the Woods Today.. If you go Down the Woods Today.. 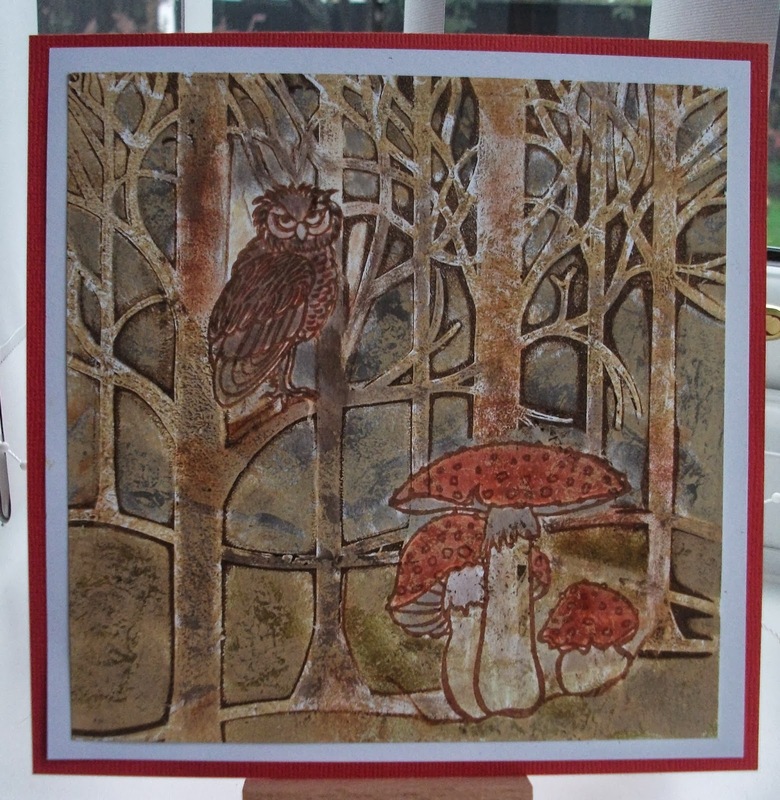 I got my gelli plate out and followed Barbara Gray's tutorial on her new blog, this was the best after a number of attempts , I have a bin full of crumpled copier paper and failed attempts. 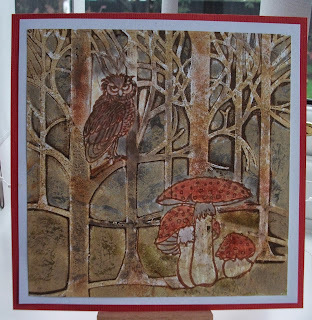 I must have a lot more practice with my gelli plate before I become more confident with it, but Barbara's tutorial did open my eyes to the possibilities, my previous attempts have been very basic. Biggest learning curve was realising that what you setup on your gelli plate is a mirror image of what your print off will look like... I had to think carefully about where I positioned my toadstools and the owl. Better have a bit of a clean up because I have been playing with these bits and pieces since yesterday afternoon. I hope that your enjoying your weekend!